Chirality plays a vital role in chemical, biological, pharmaceutical, and material sciences. Despite recent advances in asymmetric synthesis, the preparation of enantiomerically pure compounds had remained until recently as a significant challenge to synthetic organic chemists. In 1978, Professor Negishi discovered “Zr-catalyzed alkyne carboalumination” (Alkyne ZACA) and this reaction has since been widely used as a powerful tool for various natural product syntheses. Its mechanistic studies have revealed that this reaction involves acyclic carbometalation with “super-acidic” bimetallic reagents generated in situ through interactions between two Lewis acids, i.e., alkylalanes and 16-electron zirconocene derivatives, affectionately termed as the “two-is-better-than-one” principle. 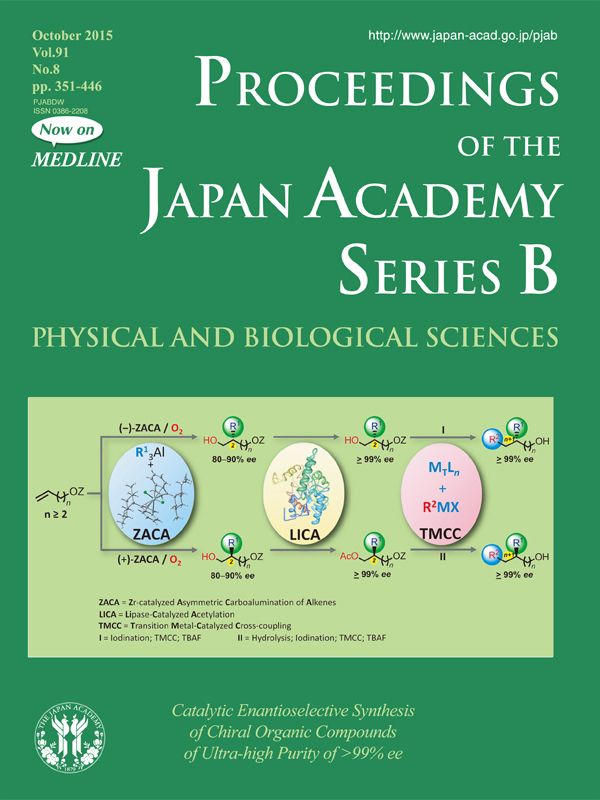 With this notion in mind, Professor Negishi further discovered Zr-catalyzed asymmetric carboalumination of alkenes (ZACA), an as yet rare catalytic asymmetric C–C bond-forming reaction of terminal alkenes of “one-point-binding” without requiring any other functional groups. ZACA reaction has since “revolutionized” the syntheses of a wide variety of chiral natural products including deoxypolypropionates, isoprenoids, and many other natural and non-natural compounds of biological and medicinal interest. 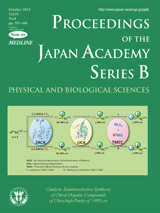 Professor Negishi recently developed a quite unique coupling of ZACA–Lipase-catalyzed acetylation–Transition metal-catalyzed cross-coupling processes, as illustrated in the cover scheme, which provides a widely applicable and efficient method for preparing a variety of chiral organic compounds of “ultra-high” purity levels (>99% ee). This approach certainly opens a new horizon for asymmetric synthesis.